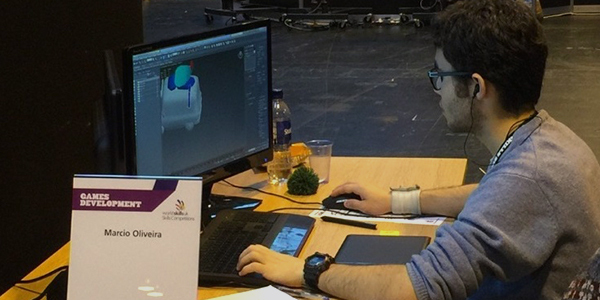 Westminster Kingsway student Marcio Oliveira enjoyed fantastic success at WorldSkills UK, winning a Silver Medal in the Games Development competition. The annual event, which took place at the LG Arena National Exhibition Centre in Birmingham in November, provides young people with an opportunity to showcase their skills and compete. Marcio, who is currently studying the UAL Awarding Body Extended Level 3 Diploma in Animation & Games Design, challenged his way through three stages of the contest with 53 competing students from colleges across the UK, before making it down to the last 10. On awarding the winners the judges said they found it hard to make a decision on the last three finalists, as they were all close to winning Gold.